Kenny Ovens was frequently seen in town wearing his Three Clubs Barefoot Golf Classic T-shirt; it was a SchoolPower event he loved. A $20,000 matching contribution was offered on Nov. 14 for SchoolPower’s Wave of Giving campaign by Kari Nelson Ovens in dedication to her late husband. Photo courtesy of SchoolPower. 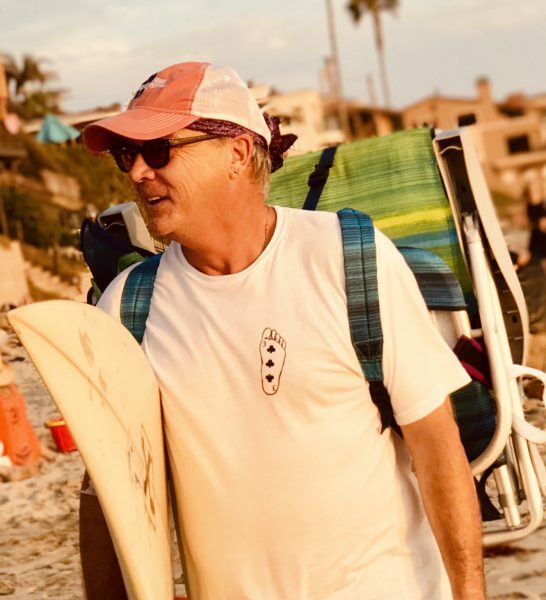 On Wednesday, Nov. 14, SchoolPower, the education foundation that supports Laguna Beach public schools, raised over $50,000 with the help of a special $20,000 matching contribution offered by Kari Nelson Ovens in dedication to her late husband, Kenny. This year’s Wave of Giving community campaign aims to raise $500,000 and is the biggest source of annual revenue for SchoolPower. Wednesday’s Campaign Day match was especially meaningful. “We are thrilled that community members gave for Kenny. He was an incredible dad and a long-time SchoolPower supporter, and is truly missed,” said SchoolPower Executive Director Sarah Durand. Nelson Ovens cites Kenny’s connection with the schools and community as her reason for offering the matching gift, “Kenny had a great appreciation for LBUSD and was connected to the schools and students. He was a volunteer for TOW’s Bear Club reading program, a soccer referee and enjoyed working in Thurston’s Ball Room,” Nelson Ovens said. “Kenny especially loved SchoolPower’s Barefoot Classic golf tournament—he had the best time there.” Ovens passed away in January of 2018 following his battle with cancer. Their son, Trey, is a freshman at Laguna Beach High School. 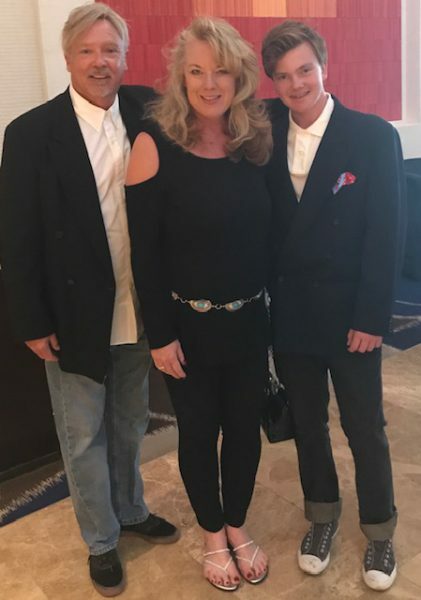 The Ovens family—Kenny, Kari and Trey. A $20,000 matching contribution was offered on Nov. 14 for SchoolPower’s Wave of Giving campaign by Kari Nelson Ovens in dedication to her late husband, Kenny. Photo courtesy of SchoolPower. SchoolPower continues to fulfill the mission of enhancing the educational experience of the whole student as they grow from TK through 12th grade. Thanks to its many supporters, SchoolPower has provided Laguna’s local public schools with millions of dollars for to help support a wide range of programs, including small class sizes, academics, athletics, visual and performing arts, music, STEM programs, and wellness and student support. By participating in SchoolPower’s Wave of Giving campaign, community members have the opportunity to invest in local students, make an impact on their future, and be a part of ensuring excellence in Laguna Beach schools. Currently the Wave of Giving campaign is over three quarters to its goal of $500,000. Participate now at:give.lbschoolpower.org. Donations of any amount are appreciated. Those that donate $100 or more to SchoolPower receive two Laguna Locals Cards for discounts at over 130 local businesses.